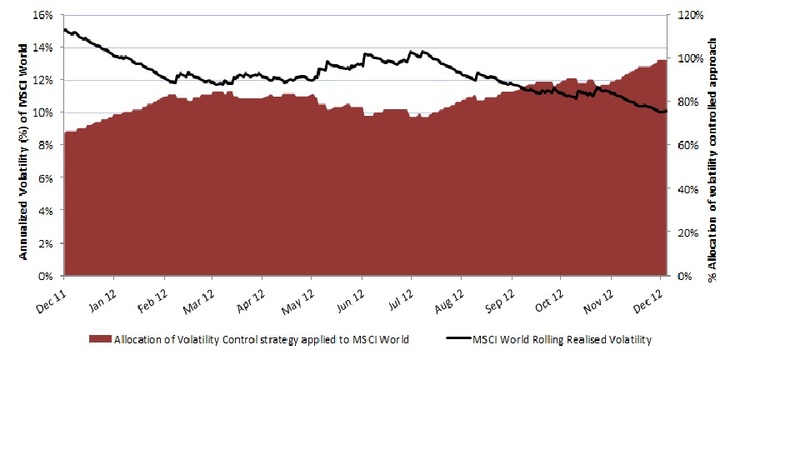 This is what 2012 looked like for a volatility control approach (10% vol target) to investing in the MSCI World index. Over the year the return achieved was 11.4% with a realised volatility of 9%. Realised volatility was quite high at the start of the year, and continued to be for most of the first half. hence the exposure was around 60%. Volatility decreased in the second half of the year and by year end a strategy targeting a 10% volatility would have been close to 100% exposed.